I’ve a car, but am more about the trains. Beijing’s surreal traffic jams meant I abandoned the roads for the rails when the all-new Beijing Subway Line 5 opened in early October 2007, revolutionalising north-south city travel. A screaming-fast 30-minute HSR train from Beijing to Tianjin next opened in August 2008, which in essence rendered my car completely useless. This all started from Switzerland’s amazingly efficient and ontime train system in my younger years. The train also proved to be perfect for short trips across Europe. These days, I’m been back on the rails for good — much like me in Switzerland in the 1990s. I used to hold, for two years, a nationwide travel pass (the GA travelcard), which basically meant I can hop onboard any Swiss train in service, carrying riders! I am heavily involved in rail-related projects, websites, and shows, including the Tracking China web site, and the Next Station: China documentary. I have been featured in interviews worldwide about railways, including the BBC, CNN, Neue Zürcher Zeitung, Xinhua News Agency, and much, much more. I decided on rails over roads in October 2007, when Beijing’s spectacularly efficient Line 5 opened to the general public — and relieved me of the traffic chaos. 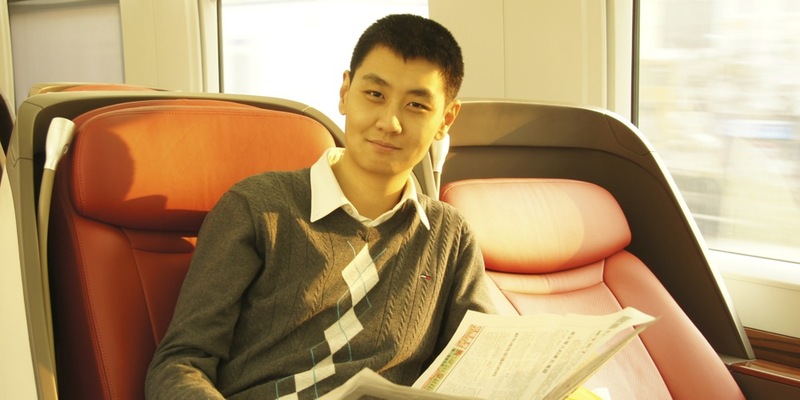 I was proven right less than a year later, when the 350 km/h (217 mph) Beijing-Tianjin Intercity HSR finished a 120 km (75 mile) sprint in just half an hour. 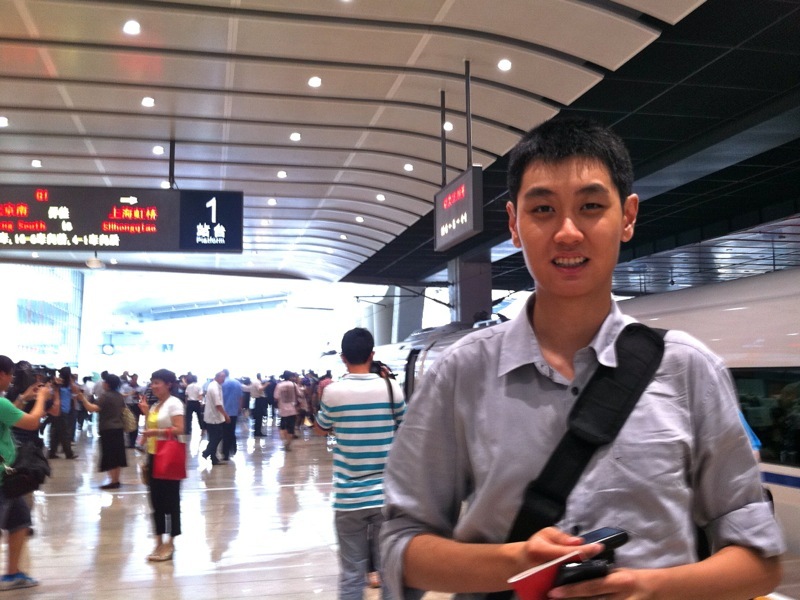 I now travel easily much more by trains than by planes in China. In addition to just travelling on trains, I am also a visible independent rail commentator, and also am in charge of improving English on the passenger rail system through the Everyday Rail English campaign. I also run the Tracking China web site. I’ve also travelled elsewhere by train. 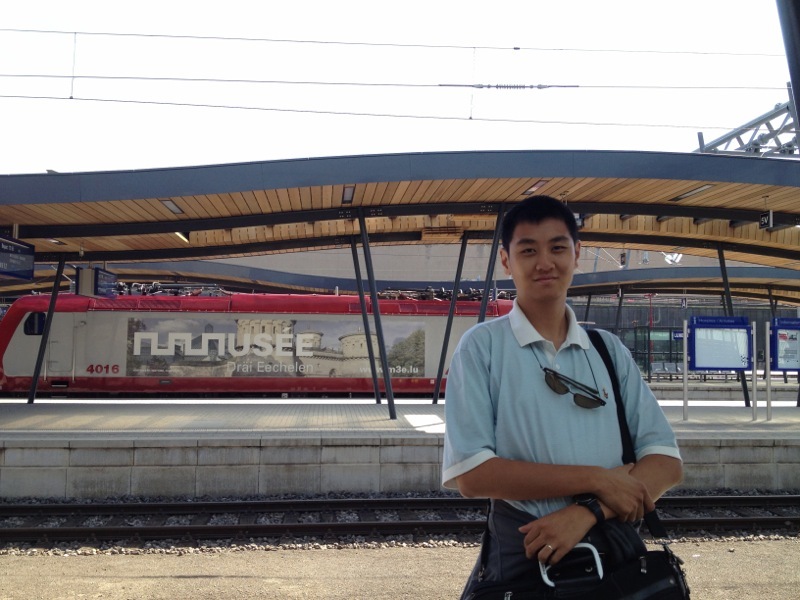 In Switzerland, I in essence grew up with the trains, using it daily to and from school. In London, I use the Underground almost daily, and have been throughout the entire network. I have also been on trains, both national and local, in many other cities, including Berlin, Paris, Vienna, Milan, Brussels, Amsterdam, Barcelona, Lisbon, San Francisco, Singapore, and Hong Kong. I prefer the train over the plane in many situations. Instead of being forced into Flight Mode, you get to see more of the places you are actually travelling across. It is also much more environmentally friendly, and even the best seats are noticeably cheaper than those on planes.